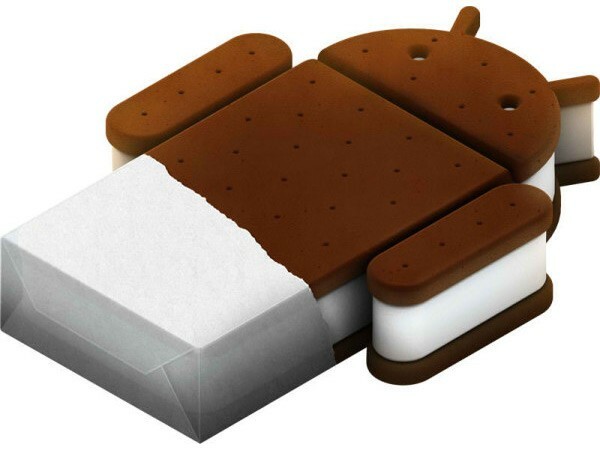 After announcing Galaxy Nexus, Google finally made Android 4.0 Ice Cream Sandwich official. The said OS is specifically designed to run on this type of powerful hardware. Also, Samsung is confirming that Ice Cream Sandwich’s native resolution is 1280×720, 16:9 aspect ratio. The Galaxy Nexus and Android 4.0 will be available in November this year. Matias Duarte introduced Ice Cream Sandwich for the first time. ICS was developed with 3 principals in mind; Android is enchanting, Android is easy, and Android is powerful. With that said, let’s see some improvements in Ice Cream Sandwich that were touched on in the event. Android 4.0 Ice Cream Sandwich gets many basic updates as a phone OS. First off is the influence of Honeycomb throughout the new operating system. The new typeface for Android is called ‘Roboto’ and was specifically designed for the new OS. 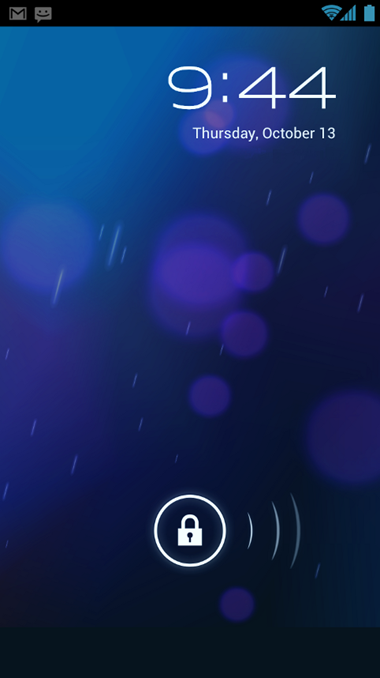 The lockscreen resembles that of the Nexus S with an updated lock ring. Gestures are used widely throughout the new operation system and can be seen when managing notifications in the notification bar and recent apps menu. Within those you can flick notifications out if they aren’t important and also flick to close applications that you no longer need running. You can also see notifications from the lockscreen, although I don’t think I would find that useful for privacy concerns. Cut, copy, and paste has also been improved throughout ICS. One major, basic feature that we finally get to see is native screen capture. Just hold down power and volume down to capture what ever is on your screen! GMail gets a major update with the ‘action bar’ at the bottom of the app. This removes the need to open a different menu to perform specific tasks, like batch deleting or archiving. 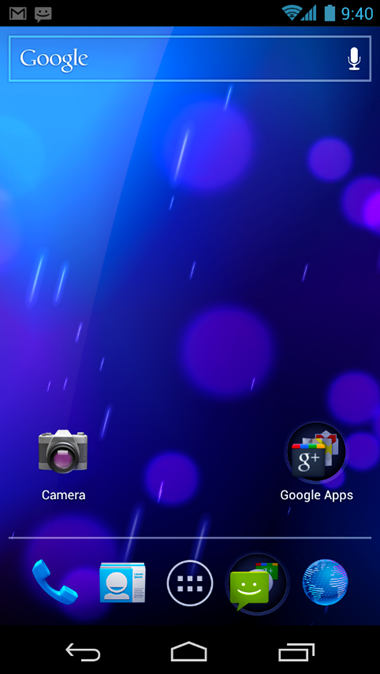 This action bar is seen throughout Ice Cream Sandwich in other applications. The camera and gallery got some much needed attention this time around. The Camera app now has a one second lag, meaning that taking pictures is lightening fast. The Gallery app can now sort by people or location and includes various editing tools. You can apply an array of hipster effects and edit picture angle straight on the phone. Google also claims that Maps and Google+ were also updated in Ice Cream Sandwich. Some major core additions that got added were in the form of the lockscreen security and data consumption management. You can now have Android recognize you via the front facing camera to unlock your screen. This feature is pretty neat but did not work well in the event stream. Also, you can now manage data usage within Android from a settings menu. You can see current usage, projected usage, and manage usage down to the applications themselves. Google updated Android’s Voice Command control to start up faster and be more accurate. It still seems very basic and its definitely no Siri. 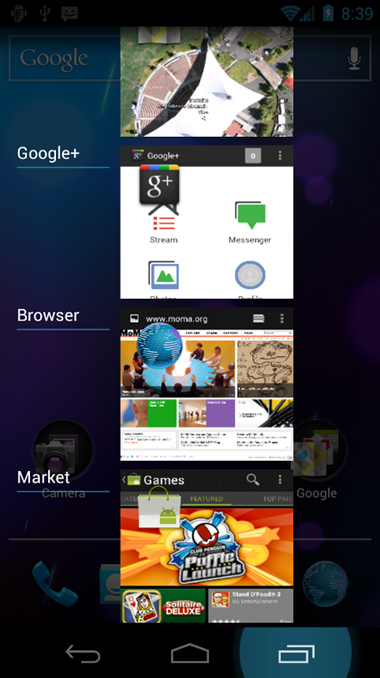 Multitasking has also got a facelift, which now presents recently opened apps in a cards-view. Ice Cream Sandwich looks solid but this is coming from watching a presentation over a live feed. To really make a determination, I will need to get my hands on it. Until then, I can’t say that I am thoroughly impressed. The reason for my conclusion comes from Android just slowing down after a couple of months of usage. I do like the idea of developing ICS for the hardware and I hope that extends past the Galaxy Nexus. Only time will tell and I hope Google can impress me. Full list list of features and screenshots of Android 4.0 Ice Cream Sandwich can be found on the official Android Developers site here.